Kieran "Header" Nugent (1958 - 4 May 2000) was a volunteer in the Provisional Irish Republican Army and best known for being the first IRA 'blanket man' in the H-Blocks. When sentenced to three years, Nugent refused to wear a prison uniform and said the prison guards would have to "...nail it to my back". On 20 March 1973 as a 15 year old he was standing with a friend on the corner of Merrion Street and Grosvenor Road, when a car pulled up beside them and one of the occupants asked them for directions. Another occupant of the vehicle then opened fire with a sub machine gun. Kieran was seriously wounded after being shot eight times in the chest, arms and back by loyalists. A friend Bernard McErlean, aged 16, who was standing nearby was shot and killed. In the coming years he joined the IRA as a young man. He was arrested, aged 16, by the British Army and spent five months on remand in Crumlin Road Prison. When he was eventually tried, the case against him was withdrawn and he was released. He became an active volunteer until his arrest and imprisonment, without trial, on 9 February 1975 under Merlyn Rees, Secretary of State for Northern Ireland. He spent nine months in Cage 4 of Long Kesh prison camp until 12 November 1975. He was imprisoned again after his arrest on 12 May 1976, and sentenced to three years imprisonment on 14 September 1976 for hijacking a vehicle and, upon entering the Maze Prison, refused to wear a prison uniform. He was not provided with alternative clothing and wrapped himself in the blanket from his cell beginning the "Blanket Protest". He was soon joined in his protest; Jackie McMullan was the next prisoner to don the blanket, followed by six more republican prisoners from the Beechmount area of Belfast. By Christmas 1976 the number had risen to over forty prisoners on protest. On 4 May 2000 Nugent died from a heart attack. He was a father of two. Brendan Hughes (16 October 1948 – 16 February 2008), also known as "The Dark", was a leading Irish republican and former Officer Commanding (OC) of the Belfast Brigade of the Provisional Irish Republican Army (IRA). He is best known as the leader of the 1980 Irish hunger strike. Hughes was born into a republican Catholic family from the lower Falls Road area of Belfast, Northern Ireland. Hughes joined the IRA in 1969, sided with the Provisional faction in the split of 1969–70, and was "on the run" in Belfast by 1970. From 1970 to 1972 Hughes was involved in a number of attacks on British soldiers and bank robberies in order to raise funds for the republican movement. On 19 July 1973 Hughes was arrested on the Falls Road along with Gerry Adams (now President of Sinn Féin) and Tom Cahill. They were interrogated for more than 12 hours at the Springfield Road RUC barracks and later at Castlereagh before being transported to Long Kesh. On 8 December Hughes escaped inside a rolled-up mattress in the back of a dustcart, and fled across the border to Dublin. After ten days he had returned to Belfast after assuming a new identity, becoming a travelling toy salesman named "Arthur McAllister". On 10 May 1974, Hughes was arrested following a tip-off, and the house was found to contain a submachine gun, four rifles, two pistols and several thousand rounds of ammunition. Hughes was subsequently sentenced to fifteen years in prison. Three years after his arrest Hughes was involved in a fracas, and received an additional five-year sentence for assaulting a prison officer. As he was convicted after 1 March 1976, Hughes was transferred from the compounds to the H-Blocks and lost his Special Category Status. He refused to wear prison uniform and joined the blanket protest. Shortly after arriving in the H-Blocks, Hughes became the OC of the IRA prisoners, and in March 1978 ordered the prisoners to begin the dirty protest. Hughes was the Officer Commanding during the 1980 hunger strike. Against the wishes of the IRA Army Council, on 27 October 1980, Hughes along with six other republican prisoners, including Tom McFeely, John Nixon, Sean McKenna, Tommy McKearney and Raymond McCartney, refused food and started a hunger strike. During the second month of the hunger strike the British Government led by Margaret Thatcher, sent an intermediary to inform Hughes of a possible compromise, despite previously having publicly rejected any compromise. Hughes had promised one of the hunger strikers, Sean McKenna, that if he slipped into a coma that he would end the hunger strike and as McKenna was on the verge of death, Hughes found himself in a dilemma. Hughes assumed that the compromise was in good faith and ended the hunger strike after 53 days. However, when the document arrived at the prison there was disappointment at the final position of the British government. 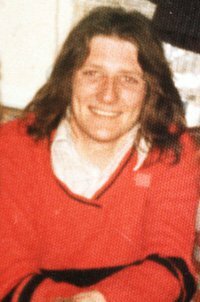 Bobby Sands took over as leader of the republican prisoners in the Maze, and, starting on 1 March 1981, led the second hunger strike, which Hughes opposed. Hughes was released from prison in 1986. In 1990, Hughes appeared at a press conference in Bilbao organised by Batasuna, the political wing of the Basque nationalist paramilitary group ETA, to support an amnesty for ETA prisoners. In 2000, he criticised the Sinn Féin leadership for allowing building firms in west Belfast to pay low wages to former prisoners and stated his belief that the republican leadership had sold out on their ideals in order to achieve peace in Northern Ireland. In October 2006, Hughes was pictured on the front page of the Irish News wearing an eye patch, after he underwent an operation to save his sight which had been badly damaged due to his hunger strike. Many former prisoners also experience health problems upon release. Hughes died in hospital aged 59 on 16 February 2008. Tommy McKearney (born 1952, Lurgan, Northern Ireland) is a former hunger striker and volunteer of the Provisional Irish Republican Army. McKearney was born into a family with a long republican tradition. McKearney has lost three of his brothers during the Troubles. On 9 August 1971, the day internment without trial was introduced, McKearney received his A-level results. McKearney had hoped to study at Queen's University Belfast and become a teacher but his results were not good enough to secure entry. McKearney describes the introduction of internment as "the straw that broke the camel's back" and decided to join the IRA. On 19 October 1977 he was arrested and charged with the murder of Stanley Adams, a postman and part-time Ulster Defence Regiment member. McKearney was interrogated for seven days under the Prevention of Terrorism Act, and claims to have been ill-treated while in custody. McKearney later received a life sentence with a recommended minimum term of twenty years for the murder of Adams, after a statement which he never signed was accepted by the court on the word of a Royal Ulster Constabulary Inspector. McKearney was involved in the blanket and dirty protests, then took part in the 1980 hunger strike. Prior to commencing the hunger strike, McKearney told his mother and father: “I'll put all my cards on the table. I'm going on hunger strike. If and when I die, I want to be brought back to Roscommon and be buried alongside my "Granda" . . . Don't let people try to influence you, your only friends will be the Republican Movement. If I die, never let the family be ashamed. If I die, I'll die in the knowledge that my life was for the cause and for the other boys here. If at my funeral the press say, "See how the IRA let your son die", just say, "My son died as an Irish soldier, not a British criminal". McKearney spent 53 days on hunger strike, from 27 October to 18 December, and according to a doctor had only a few hours left to live when the strike was called off. McKearney was released from prison in 1993, having served 16 years of his sentence. In 2003 he appeared in the BBC documentary Life After Life with former Ulster Volunteer Force prisoner Billy Mitchell. He now works as a freelance journalist, edits the publication Fourthwrite, and is an organiser for the Independent Workers Union of Ireland. Raymond McCartney (born 1954 in Derry, Northern Ireland) is a Sinn Féin politician, and a former hunger striker and volunteer within the Provisional Irish Republican Army (IRA). McCartney took part in the civil rights march in Derry on 30 January 1972, an event widely known as Bloody Sunday. His cousin, Jim Wray, was shot and killed by the 1st Battalion of the British Parachute Regiment, and as a result of this McCartney joined the IRA several months later. On 12 January 1979 at Belfast Crown Court McCartney and another man, Eamonn MacDermott, were convicted of the murder of Detective Constable Patrick McNulty, who was shot several times outside a garage in Derry on 27 January 1977. McCartney was also convicted of IRA membership and the murder of Jeffrey Agate in February 1977, and was sentenced to life imprisonment. McCartney was involved in the blanket and dirty protests, then took part in the 1980 hunger strike. McCartney spent 53 days on hunger strike, from 27 October to 18 December. From 1989 to 1991 he was Officer Commanding of the IRA prisoners in the H Blocks, and was released in 1994. Since his release he has been active with ex-prisoners' groups Tar Abhaile and Coiste na n-Íarchimí, and was the first member of Sinn Féin to have their own voice heard on television after the lifting of the broadcasting ban in 1994. On 5 September 2002 McCartney was the first former IRA member to appear before the Bloody Sunday Inquiry, and encouraged anyone, including paramilitaries, with information to come forward. On 15 February 2007 McCartney and MacDermott had their murder convictions quashed by the Court of Appeal, following an investigation by the Criminal Cases Review Commission in 2002. Notwithstanding the normal expectation of compensation for a wrongful conviction and wrongful imprisonment, the Secretary of State for Northern Ireland declined to compensate McCartney and McDermott on the grounds that they had not proven themselves innocent. The decision was appealed to the Supreme Court of the United Kingdom which in May 2011 found in favour of the applicants, opening the way for a substantial compensation claim from both for their prison terms of 15 and 17 years. Robert Gerard "Bobby" Sands (Irish: Roibeárd Gearóid Ó Seachnasaigh; 9 March 1954 – 5 May 1981) was an Irish volunteer of the Provisional Irish Republican Army and member of the British Parliament who died on hunger strike while imprisoned in HM Prison Maze. He was the leader of the 1981 hunger strike in which Irish republican prisoners protested against the removal of Special Category Status. During his strike he was elected as a member of the British Parliament as an Anti H-Block/Armagh Political Prisoner candidate. His death resulted in a new surge of IRA recruitment and activity. International media coverage brought attention to the hunger strikers, and the republican movement in general, attracting both praise and criticism. As this site is for him, check it out for further info, pictures, poems, tributes, etc. 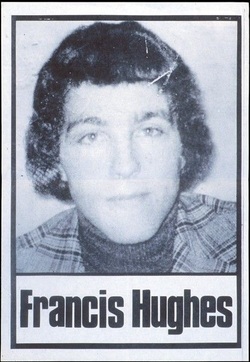 Francis Hughes (Irish: Proinsias Ó hAodha; 28 February 1956 – 12 May 1981) was an Irish volunteer in the Provisional Irish Republican Army (IRA). He died during the 1981 Irish hunger strike in HM Prison Maze. Hughes was born in Bellaghy, County Londonderry on 28 February 1956 into a republican family: the youngest of four brothers in a family of ten siblings. Hughes' father Joseph had been a member of the Irish Republican Army in the 1920s and one of his uncles had smuggled arms for the republican movement. This resulted in the Hughes family being targeted when internment was introduced in 1971, and Hughes' brother Oliver was interned for eight months without trial. Hughes left school aged 16 and started work as an apprentice painter and decorator. Hughes was returning from an evening out in Ardboe, County Tyrone when he was stopped at an Ulster Defence Regiment (UDR) checkpoint. When the soldiers realised he came from a republican family, he was badly beaten. Hughes initially joined the Official Irish Republican Army, but left after the organisation declared a ceasefire in May 1972. Hughes decided to join the Provisional IRA in 1973. Hughes took part in scores of IRA operations, including daylight attacks on Royal Ulster Constabulary (RUC) stations, bombings, and attacks on off-duty members of the RUC and UDR. On 18 April 1977 Hughes, McGlinchey and Milne were travelling in a car near the town of Moneymore when an RUC patrol car carrying four officers signalled them to stop. The IRA members attempted to escape by performing a u-turn, but lost control of the car which ended up in a ditch. They abandoned the car and opened fire on the RUC patrol car killing two officers and wounding another, before running off through fields. A second RUC patrol came under fire while attempting to prevent the men fleeing, and despite a search operation by the RUC and British Army the IRA members escaped. Following the Moneymore shootings the RUC named Hughes as the most wanted man in Northern Ireland, and issued wanted posters with pictures of Hughes, Milne and McGlinchey. Hughes was eventually captured on 17 March 1978 near Maghera in County Londonderry after an exchange of gunfire with the British Army. A member of the Parachute Regiment was killed in the gun battle, and another para seriously wounded. Hughes was wounded in the leg. He managed to limp away but was discovered the next morning in a search and surrendered to British troops. In February 1980 he was sentenced to a total of 83 years in prison. Hughes was involved in the mass hunger strike in 1980, and was the second prisoner to join the 1981 Irish Hunger Strike. His hunger strike started on 15 March 1981, two weeks after Bobby Sands became the first hunger striker. He was the second striker to die, at 5:43pm BST on 12 May, after 59 days without food. He was 25. His death led to an upsurge in rioting in nationalist areas of Northern Ireland. His cousin, Thomas McElwee, was the ninth hunger striker to die. Raymond Peter "Ray" McCreesh (Irish: Réamann Mac Raois; 25 February 1957 - 21 May 1981) was an Irish republican hunger striker and a volunteer in the South Armagh Brigade of the Provisional Irish Republican Army (IRA). 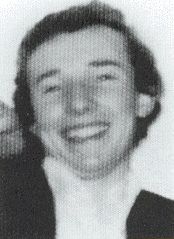 Raymond Peter McCreesh, the seventh in a family of eight children, was born in St. Malachy's Park, Camlough on 25 February 1957. He was born into a strong Republican family, and was active in the Republican movement from the age of 16. Raymond first joined na Fianna Éireann, the IRA's youth wing, in 1973, and later that year he progressed to join the Provisional IRA's South Armagh Brigade. McCreesh had worked for a short time as steelworker in a predominately loyalist factory in Lisburn. However, as sectarian threats and violence escalated, Raymond switched professions to work as a milk roundsman in his local area of South Armagh: an occupation which greatly increased his knowledge of the surrounding countryside, as well as enabling him to observe the movements of British Army patrols in the area. On 25 June 1976, at age 19, McCreesh, along with two other Provisionals, Danny McGuinness and Paddy Quinn, were captured by paratroopers from the 3rd Battalion, Parachute Regiment. All three were sentenced to 14 years. McCreesh was part of a group which had gone to a farmyard in Sturgan to ambush a covert Army observation post that they had located on the main Newry – Newtonhamilton road. The group was observed from a military observation post. As the fourth member of the group drove the stolen car down the road to act as a lure for the British troops, the other three moved into position. Upon attempting to return, the driver of the car spotted the paratroopers on the hillside closing in on the other three and opened fire to warn them. Immediately, the soldiers opened fire on the three IRA men. Raymond and Paddy Quinn ran for cover to a nearby house, but were immediately besieged by paratroopers. Realising that they wouldn't be able to leave the house alive, they telephoned two priests asking them to come to assist with their intended surrender. When one of the priests arrived and entered the house the men came out the front door with their hands above their head to indicate surrender, but the soldiers opened fired forcing them to retreat back into the house. After the arrival of the police, and the second priest, the two gunmen again surrendered and were taken to Bessbrook barracks where they were questioned for three days before being charged. On 2 March 1977, McCreesh and Paddy Quinn were convicted and sentenced to fourteen years in prison for attempted murder, possession of a rifle and ammunition and a further five year for IRA membership. McCreesh joined the blanket protest and took part in the 1981 Irish Hunger Strike on March 22nd, dying after 61 days on hunger strike aged 24, on May 21st 1981. 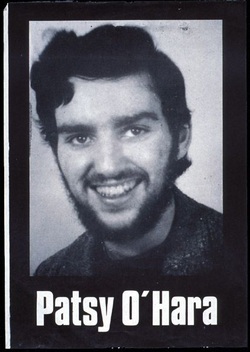 Patsy O'Hara (Irish: Peatsaí Ó hEadhra, 11 July 1957 - 21 May 1981) was an Irish republican hunger striker and member of the Irish National Liberation Army (INLA). He was born in Bishop Street, Derry, Northern Ireland. O'Hara joined Na Fianna Éireann in 1970, and in 1971 his brother Sean was interned in Long Kesh. In late 1971, he was shot and wounded by a soldier while manning a barricade. Due to his injuries he was unable to attend the civil rights march on Bloody Sunday but watched it go by him in the Brandywell, and the events of the day had a lasting effect on him. In October 1974, O'Hara was interned in Long Kesh, and on his release in April 1975 he joined the Irish Republican Socialist Party (IRSP) and INLA. He was arrested in Derry in June 1975 and held on remand for six months. In September 1976, he was arrested again and once more held on remand for four months. On 10 May 1978, he was arrested on O'Connell Street, Dublin, Ireland under section 30 of the Offences Against the State Act, and was released 18 hours later. He returned to Derry in January 1979 and was active in the INLA. On 14 May 1979 he was arrested and was convicted of possessing a hand grenade and sentenced to eight years in prison in January 1980. He became Officer Commanding of the INLA prisoners at the beginning of the first hunger strike in 1980, and he joined the 1981 strike on 22 March, the same day as Ray McCreesh. On Thursday, 21 May, at 11.29 p.m., he died after 61 days on hunger strike at the age of 23. In accordance with his wishes, his parents did not get him the medical intervention needed to save his life. Joseph (Joe) McDonnell (Irish: Seosamh Mac Dónaill; 14 September 1951 - 8 July 1981) was a volunteer in the Provisional Irish Republican Army (IRA), who died in the 1981 Irish hunger strike. McDonnell was born on Slate Street in the lower Falls Road of Belfast, and was one of 10 children. He went to a Roman Catholic school which was nearby. In 1970, he married Goretti, and moved into her sister's house in Lenadoon. There were only two Catholic houses in this predominantly Protestant housing estate, and the house was attacked on numerous occasions. McDonnell was arrested in Operation Demetrius and interned on the prison ship HMS Maidstone along with Gerry Adams and others. He was later moved to HMP Maze for several months. Upon release he joined the Provisional IRA Belfast Brigade. McDonnell met Bobby Sands in the run up to an IRA firebomb attack on the Balmoral Furnishing Company. During the ensuing shoot-out between the IRA and the police and British Army, both men along with Séamas Finucane and Seán Lavery were arrested. McDonnell and the other men were sentenced to 14 years in prison for possession of a firearm. None of the men accepted the jurisdiction of the court. McDonnell agreed with the goals of the 1981 Irish hunger strike. He doubted, however, the need to go on hunger strike, believing that a campaign of disobedience would achieve the objective. Although McDonnell was not involved in the first (1980) hunger strike, he joined Bobby Sands and the others in the second (1981) hunger strike. During the strike he fought the general election in the Republic of Ireland, and only narrowly missed election to the Sligo-Leitrim constituency. He went 61 days without food before dying on 8 July 1981 aged 29. He had two children. His wife Goretti took an active part in the campaign in support of the hunger strikers. McDonnell was buried in the grave next to Bobby Sands at Milltown Cemetery. John Joe McGirl, McDonnell's election agent in Sligo-Leitrim, gave the oration at his funeral. Quoting Patrick Pearse, he stated "He may seem the fool who has given his all, by the wise men of the world; but it was the apparent fools who changed the course of Irish history". Edward Martin Hurson (Irish: Máirtín Ó hUrsáin; 13 September 1956 – 13 July 1981) was an Irish republican hunger striker and a volunteer in the East Tyrone Brigade of the Provisional Irish Republican Army (IRA). Hurson, from Cappagh, County Tyrone was one of nine children born to Johnnie and Mary Ann Hurson. Hurson was educated to a primary level at Crosscavanagh Primary School in Galbally and at secondary level in St. Patrick's, Galbally. In November 1976, Hurson and 4 more were arrested. Martin Hurson was tried and convicted of involvement in three IRA landmine incidents, one at Cappagh in September and one at Galbally in November 1975 and a third at Reclain in February 1976 when several members of the RUC and Ulster Defence Regiment narrowly escaped being killed. He received concurrent sentences of twenty, fifteen and five years for these convictions. He became engaged to his long term girlfriend, Bernadette Donnelly, while in prison. He was part of the blanket protest and joined the 1981 Irish Hunger Strike on 29 May replacing Brendan McLaughlin, who withdrew following a perforated stomach ulcer. He was a candidate at the 1981 Irish general election in the Longford–Westmeath constituency where he obtained 4,573 (10.1%) first preference votes. He lost the ability to hold down water after around 40 days on hunger strike, and died of dehydration after only 46 days, considerably shorter than any other hunger striker. Near the end his family considered the possibility of intervening to save his life, but they were told that he would probably have permanent brain damage. Hurson died aged 24. Kevin Lynch (Irish: Caoimhín Ó Loingsigh; 25 May 1956 - 1 August 1981) was an Irish republican hunger striker and member of the Irish National Liberation Army (INLA) from Park near Dungiven, County Londonderry, Northern Ireland. The Dungiven hurling team was renamed Kevin Lynch's Hurling Club in his honour after his death. Lynch was the youngest in a family of eight children born to Paddy and Bridie Lynch in Park, south County Londonderry. Lynch's older brother, Frank, was an amateur boxer and Kevin also participated in boxing as well and Gaelic football and hurling. Lynch was a member of the winning Dungiven team which won the Feile na nGael in Thurles, County Tipperary in 1971 and in 1972 he captained the County Derry Hurling team to an Under-16 All-Ireland title at Croke Park, Dublin by beating County Armagh. He was tried, convicted and sentenced to ten years for stealing shotguns, taking part in a punishment shooting and conspiring to take arms from the security forces and sent to the Maze Prison for ten years in December 1977. 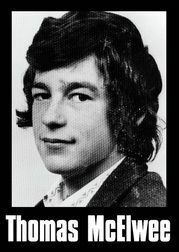 He got involved in the blanket protest and joined the 1981 Irish Hunger Strike on 23 May 1981 and died 71 days later, aged 25. Kieran (or Ciarán) Doherty TD (Irish: Ciarán Ó Dochartaigh, 16 October 1955 – 2 August 1981) was an Irish republican hunger striker, Teachta Dála and a volunteer in the Belfast Brigade of the Provisional Irish Republican Army (IRA). Doherty was the third son in a family of six born in Andersonstown, Belfast. He was educated at primary level at St. Theresa's Primary School and at secondary level at Glen Road Christian Brothers School (CBS). The Doherty brothers were known cyclists and sportsmen in the Andersontown area with Kieran winning an Antrim Gaelic football medal at minor level in 1971. Doherty worked as an apprentice heating engineer. Doherty joined Fianna Éireann in 1971 and was interned by the British Government between February 1973 and November 1975. Kieran's brothers Michael and Terence were interned between 1972 and 1974. His girlfriend was Geraldine, although they never became formally engaged they became very close towards the end of his life. Before his arrest she had not known that he was in the IRA. In August 1976, while out to set a bomb, the van he was in was chased by the police. During the chase Doherty managed to leave the van and hijack a car but was caught as he was escaping. He was convicted and sentenced to 18 years for possession of firearms and explosives, with another four years for the hijack. While on hunger strike he was elected as an Anti H-Block TD for the Cavan–Monaghan constituency at the 1981 general election held in the Republic of Ireland on the 11 June. Doherty was shortest serving Dáil deputy having served as TD for two months. The seats gained by Anti H Block candidates denied Charles Haughey from forming a government and the 22nd Dáil saw Fine Gael and Labour form a government with Garret FitzGerald as Taoiseach (Head of government in the Republic of Ireland). 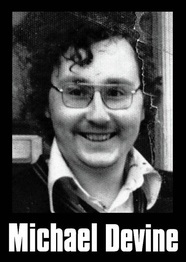 He died at the age of 25 in the 1981 Irish Hunger Strike in the Maze prison (known to republicans as Long Kesh). He lasted 73 days on hunger strike, the longest of the 1981 hunger strikers. Thomas McElwee (Irish: Tomás Mac Giolla Bhuí; 30 November 1957 - 8 August 1981) was an Irish republican hunger striker and a volunteer in the Provisional Irish Republican Army (IRA). McElwee was the sixth child in a family of twelve born to James and Alice McElwee. He was educated at primary level at St. Mary's Primary School, Bellaghy and at secondary level at St. Mary's, Clady, Portglenone. McElwee then trained as a car mechanic at Magherafelt Technical College and Ballymena Training Centre. At the age of 14, McElwee joined Fianna Éireann, he then joined the South Derry Independent Republican Unit and subsequently joined the IRA after the SDIRU was disbanded. In December 1976, McElwee was arrested for a firebomb attack in the town of Ballymena in which he was nearly blinded. After his recovery he was charged with murder for the death of Yvonne Dunlop a 26 year old Protestant, who was killed when one of the bombs they had planted destroyed her shop, the Alley Katz Boutique. 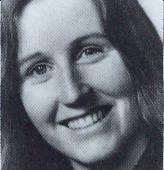 On conviction for her murder, McElwee was sentenced to life imprisonment in September 1977. On appeal his conviction was reduced to manslaughter and the sentence reduced to 20 years. In prison he became involved in the blanket protest. 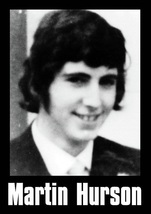 He joined the 1981 Irish hunger strike and died on 8 August 1981 at the age of 23 after 62 days of hunger-strike. His eight sisters served as his pallbearers. He was a cousin of fellow hunger striker Francis Hughes, and also a cousin of Father Oliver Crilly, a Catholic priest who attempted to mediate during the strike. Thomas McElwee is the main subject of the song "Farewell to Bellaghy", which also mention his cousin Francis Hughes. He is also the subject of the Crucifucks' song "The Story of Thomas McElwee". Michael James "Mickey" Devine (Irish: Mícheál Ó Duibhinn, 26 May, 1954–21 August, 1981) was a volunteer of the Irish National Liberation Army (INLA) who died on the 1981 Irish hunger strike. Devine, also known as "Red Mickey" on account of his red hair, was born into a family of only two children from the Springtown Camp, Derry, Northern Ireland. In 1960, when Devine was six years of age, the Devine family including his grandmother, sister Margaret and parents Patrick and Elizabeth, moved to the then newly-built Creggan estate to the north of Derry city centre. Both of Devine's parents died soon after. Devine was educated to a primary level at Holy Child Primary School, Creggan, and at secondary level in St. Joseph's Secondary School also in the Creggan. After soldiers shot dead two unarmed civilians, Dessie Beattie and Raymond Cusack, Devine joined the James Connolly Republican Club in Derry in July 1971. In the early 1970s, Devine joined the Labour Party and Young Socialists, before helping found the INLA in 1975. In 1976, after an arms raid in County Donegal, Ireland, Devine was arrested and sentenced to 12 years. He joined the blanket protest before joining the hunger strike. In May 1981, Devine sent an open letter to Cardinal Basil Hume (Archbishop of Westminster and Roman Catholic primate of England) in which he responded to Cardinal Hume's assertion that the hunger strike was a "form of violence against one's own body". On 22 June 1981, Devine joined the 1981 Irish hunger strike, and died on 20 August after 60 days without food, aged 27. On the same day Owen Carron (Bobby Sands election agent) was elected Member of Parliament for Fermanagh and South Tyrone. Patrick Quinn (Irish: Pádraic Ó Cuinn) (born 1962, Belleeks, County Armagh, Northern Ireland) was a volunteer with the 1st Battalion, South Armagh Brigade of the Provisional Irish Republican Army (IRA) who took part in the 1981 Irish hunger strike. Quinn was born into a Catholic republican family and was the eldest child in a family of four boys and four girls born to Paddy and Catherine Quinn in Camlough, County Armagh. At the age of nine, Quinn's father died and, as the new head of the family, his mother relied heavily on Paddy for both emotional support and to help work their 32-acre (130,000 m2) farm in County Armagh. Quinn's mother introduced him to Irish republicanism and told tales of when his uncle was shot by the Black and Tans during the Irish War of Independence. The Quinn family were unable to maintain the farm after their father's death and moved to Newry, County Down in 1979. On 25 June 1976, Quinn along with his brother Séamus, Danny McGuinness and Raymond McCreesh planned to ambush an Army patrol at the Mountain House Inn on the Newry-Newtownhamilton road. They hijacked a "getaway" car from a farm in Sturgan but were observed moving into their ambush position. They prematurely opened fire on soldiers when they began moving in to investigate and the IRA member in the car drove off. The others tried to hide in a farmhouse but were surrounded. After they failed to shoot their way out, the local Catholic parish priest facilitated their surrender. On 2 March 1977, Quinn and Raymond McCreesh were convicted and sentenced to fourteen years in prison for attempted murder, possession of a rifle and ammunition and a further five years for IRA membership. Quinn was sent to the H-Blocks of the Maze prison where he refused to wear a prison uniform, demanded political status and joined the blanket protest. Quinn joined the hunger strike on 15 June 1981. When he was close to death after 47 days his mother asked for medical help to save his life. Paddy Quinn and his mother both described what happened in interviews for a BBC documentary on the hunger strikes in 1993. He was the first hunger striker whose family intervened. Laurence McKeown (b. 1956 in Randalstown, County Antrim, Northern Ireland) is an Irish author, playwright, screenwriter, and former volunteer in the Provisional Irish Republican Army (IRA) who took part in the 1981 Irish hunger strike. McKeown was born in 1956 in Randalstown, County Antrim, Northern Ireland. As a teenager, McKeown had ambitions of becoming an architect and when aged 16 he started working in the offices of a quantity surveyor. When aged 17 he joined the IRA, and he was arrested in August 1976 and charged with causing explosions and the attempted murder of a member of the RUC. At his trial in April 1977, McKeown was found guilty and sentenced to life imprisonment in the Maze Prison. While in prison McKeown took part in the blanket protest and dirty protest, attempting to secure the return of Special Category Status for convicted paramilitary prisoners. McKeown joined the 1981 strike on 29 June, after Sands and three other prisoners had died. 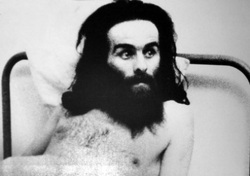 Following the deaths of six other prisoners, McKeown's family authorised medical intervention to save his life on 6 September, the 70th day of his hunger strike. He described his recollection of the events in an interview: "You're very sleepy and very, very tired and you're sort of nodding off to sleep but something's telling you to keep waking up. This was the thing that kept everybody going through the hunger strike in trying to live or last out as long as possible. I knew death was close but I wasn't afraid to die - and it wasn't any sort of courageous or glorious thing. I think death would have been a release. You can never feel that way again. It's not like tiredness. It's an absolute, total, mental and physical exhaustion. It's literally like slipping into death". McKeown completed a bachelor's degree in social science from the Open University while in prison before being released in 1992, and subsequently obtained a Ph.D. from Queen's University Belfast. In the mid-1990s he co-founded the Belfast Film Festival, and has written two books about republican prisoners in the Maze Prison–Nor Meekly Serve My Time: The H-Block Struggle 1976-1981 (co-written with Brian Campbell and Felim O'Hagan) was published in 1994, and Out Of Time: Irish Republican Prisoners, Long Kesh, 1972-2000 was published in 2001. McKeown and Campbell co-wrote a film about the 1981 hunger strike called H3 which was directed by Les Blair. n 2006 he appeared in a two-part documentary titled Hunger Strike, which was shown on RTÉ to mark the 25th anniversary of the 1981 hunger strike. McKeown also works as a Development Officer for Coiste na n-Iarchimí, an umbrella organisation of republican ex-prisoners groups. McGeown was born in Belfast, Northern Ireland, and joined the IRA's youth wing Fianna Éireann in 1970. He was first arrested aged 14, and in 1973 he was again arrested and interned in Long Kesh until 1974. In November 1975 McGeown was arrested and charged with possession of explosives, bombing the Europa Hotel and IRA membership. At his trial in 1976 he was convicted and received a five-year sentence for IRA membership and two concurrent fifteen-year sentences for the bombing and possession of explosives, and was imprisoned at Long Kesh with Special Category Status. In March 1978 he attempted to escape dressed as a prison warder along with Brendan McFarlane and Larry Marley. The escape was unsuccessful, and resulted in McGeown receiving an additional six-month sentence and the loss of his Special Category Status. McGeown was transferred into the Maze Prison's H-Blocks where he joined the blanket protest and dirty protest. He described the conditions inside the prison during the dirty protest in a 1985 interview: “ There were times when you would vomit. There were times when you were so run down that you would lie for days and not do anything with the maggots crawling all over you. The rain would be coming in the window and you would be lying there with the maggots all over the place." McGeown joined the 1981 strike on 9 July, after Sands and four other prisoners had starved themselves to death. Following the deaths of five other prisoners, McGeown's family authorised medical intervention to save his life after he lapsed into a coma on 20 August, the 42nd day of his hunger strike. 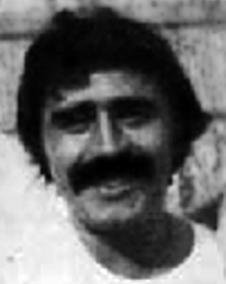 McGeown was released from prison in 1985, resuming his active role in the IRA's campaign and also working for Sinn Féin. Despite suffering from heart disease as a result of his participation in the hunger strike, McGeown was a member of Sinn Féin's Ard Chomhairle and active in the Prisoner of War department, and in 1989 he was elected to Belfast City Council as a local councillor. McGeown was found dead in his home on 1 October 1996, after suffering a heart attack. McGeown was buried in the Republican plot at Belfast's Milltown Cemetery, and since his death is often referred to as the "11th hunger striker". 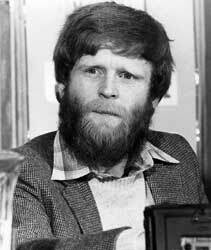 Matt Devlin (30 April 1950 — 28 December 2005) was a Provisional Irish Republican Army volunteer who took part in the 1981 Irish Hunger Strike and was later a leading member of Sinn Féin in County Westmeath. Matt Devlin was born in Ardboe, County Tyrone, Northern Ireland, on 30 April 1950. He was arrested in 1977, and was taken to Cookstown and Omagh Royal Ulster Constabulary (RUC) barracks and interrogated for four days. He was charged with the attempted murder of members of the security forces. In October 1977 he was sentenced to seven years for the attempted murder of RUC officers. Devlin became the 15th republican prisoner to join the Hunger Strike in HMP Maze when he replaced Martin Hurson who died after 46 days on hunger-strike on 13 July, 1981. He had been involved in the prison protests right through from the blanket protest until the hunger strikes ended when families began to take their sons off the protest. In 2004, despite serious illness he stood in local elections in the Republic of Ireland and although failing to get elected is credited for building up the Sinn Féin party in County Westmeath. He died on 28 December 2005 at the age of 55, in County Westmeath, Republic of Ireland. Pat Sheehan (born 1958) is a Sinn Féin politician in Northern Ireland, and former IRA hunger striker at Maze Prison. On 7 December 2010, he succeeded Gerry Adams as MLA for Belfast West, Adams having resigned in order to contest the Irish general election, 2011. Sheehan retain the seat for Sinn Féin at the 2011 Assembly election. Sheehan has provoked anger and controversy by describing the Troubles as “probably quite civilised” and saying the IRA “could have left a 1,000lb car bomb on the Shankill” if it wanted to kill Protestants. Pat Sheehan is the widower of Sinn Féin activist Siobhan O'Hanlon, died from cancer in 2006. He has a son. Jackie "Teapot" McMullan (born c. 1955 in Belfast, Northern Ireland) is a former volunteer in the Provisional Irish Republican Army (IRA) who took part in the 1981 Irish hunger strike. McMullan was born in Belfast in the mid-1950s, the third eldest of a family of seven children. He studied at a boarding school in Athlone in the Republic of Ireland before returning to Belfast in 1971. Following the introduction of internment in August 1971, McMullan's home was raided several times and, in September 1971, his older brother Michael was interned. Later that year McMullan joined the IRA's youth wing Fianna Éireann. He was arrested in 1976 in possession of a revolver following a gun attack on a Royal Ulster Constabulary (RUC) base, and remanded to Crumlin Road Jail charged with attempting to murder RUC officers. At his trial in September 1976 he was convicted after forty minutes having refused to recognise the Diplock court; he received a life sentence and was sent to HM Prison Maze. McMullan was the second person convicted after the withdrawal of Special Category Status for paramilitary prisoners, and he joined the blanket protest started by Kieran Nugent and refused to wear prison uniform. As McMullan refused to wear a prison uniform he was not entitled to a monthly visit, and did not see his family until December 1979. McMullan described the visit in an interview: “The screws [prison officers] standing beside you, hating you, hating your relatives. Your eyes are bulging because you're locked in a cell 24 hours a day, you have matted hair, you're filthy, you look like a deranged maniac. You go out and try to act normal to your family, putting on a brave face, and so are they.” At his next visit, in March 1980, McMullan was expecting to see his mother Bernadette, but was instead visited by a priest who informed him of her death. McMullan became the longest-serving protesting prisoner when Nugent was released in 1980, and later in the year the protest in the Maze escalated further and seven prisoners took part in a fifty-three day hunger strike. The strike ended before any prisoners had died and without political status being secured, and a second hunger strike began on 1 March 1981 led by Bobby Sands. McMullan joined the strike on 17 August, after Sands and eight other prisoners had starved themselves to death. Following the death of Michael Devine and the intervention of the families of several prisoners the hunger strike was called off on 3 October, the 48th day of McMullan's hunger strike. McMullan was released in 1992. Since that time he has worked for the IRA's political wing Sinn Féin and helped set up groups for former prisoners. Bernard Fox (born c. 1951 in Belfast, Northern Ireland) is a former member of the Army Council of the Provisional Irish Republican Army (IRA) who took part in the 1981 Irish hunger strike. Fox, an apprentice coach builder from the Falls Road in Belfast joined the IRA in 1969 aged eighteen. He explained his motivation for joining the IRA in a 1998 interview with the Irish News, stating: "I was almost shot in a gun attack at Norfolk Street. I came away wanting a gun. It was survival. You wanted to protect your own people ... my family and myself. When the barricades went up I wanted a gun so I approached this fella who was in the IRA and asked for gun and he said: could I shoot a British soldier? At that time I hadn't the idea that it was the British government's fault." In 1981, Fox, serving a twelve year sentence in the Maze Prison for possession of explosives and bombing a hotel, joined the hunger strike on 24 August, replacing Paddy Quinn who was taken off the strike by his family. Fox ended his strike after 32 days without food on 24 September after doctors warned him he would be dead within days due to an obstructed kidney. As a result of his IRA activities, Fox was imprisoned on four occasions and spent over twenty years in prison, before being released in 1998 under the terms of the Good Friday Agreement resulting from the Northern Ireland peace process. At Easter 2001, Fox was a speaker at the commemoration to mark the 85th anniversary of the Easter Rising in Dublin, saying "after spending nearly 22 years in jail, one of the questions I'm most frequently asked is 'was it worth it'? I can't answer that question. History will answer that. The question is phrased in the past tense. It's not over. The struggle continues and will continue until the British are out of Ireland". Mairéad Farrell (Irish: Máiréad Ní Fhearghail/Mairéad Ní Fhearail; 3 March 1957 - 6 March 1988) was an Irish volunteer of the Provisional Irish Republican Army (IRA). She was killed by Special Air Service (SAS) soldiers during Operation Flavius, a British Army operation to prevent a bombing in Gibraltar. Farrell was born in Belfast, Northern Ireland to a middle class family with no link to militant Irish Republicanism. At age 18, she met an IRA volunteer named Bobby Storey, who persuaded her to join the Provisional IRA. On 1 March 1976, the British Government revoked Special Category Status for prisoners convicted from this date under anti-terrorism legislation. In response, the IRA instigated a wave of bombings and shootings across Northern Ireland; younger members such as Farrell were asked to participate. On 5 April 1976, along with Kieran Doherty and Sean McDermott, she attempted to plant a bomb at the Conway Hotel in Dunmurry. She was arrested by Royal Ulster Constabulary (RUC) officers within an hour of planting the bomb. Her boyfriend Sean McDermott was shot dead by an RUC Reservist at a nearby housing estate. At her trial she refused to recognise the court as it was an institution of the British state and was sentenced to fourteen years in prison for explosives offences to be served in Armagh Women's Prison. When she arrived in Armagh Gaol, Farrell refused to wear prison uniform in protest at the designation of paramilitary prisoners as criminals. She was the first woman to do so although the second person after Kieran Nugent, a prisoner in the H-Blocks of HMP Maze. Farrell instigated a dirty protest in February 1980. This meant that prisoners refused to slop-out and would smear excrement and menstrual material on the walls of their cells instead of risking being attacked by the guards while slopping out. On 1 December Farrell, along with Mary Doyle and Mairead Nugent, began a hunger strike in Armagh prison to coincide with the one already taking place in Long Kesh. It ended on 19 December, a day after the men's strike. The dirty protest ended in March 1981 as the prisoner's rights' campaign was focused on the hunger strike being undertaken by Bobby Sands, leader of IRA prisoners in the H-Blocks. She was one of the H-Block/Armagh prisoners to stand for election in the Republic of Ireland in the 1981 General Election, standing in Cork North Central and polling 2,751 votes (6.05%). Upon her release from prison in October 1986, Farrell enrolled at Queen's University, Belfast for a course in Political Science and Economics, although she dropped out to play a larger role in the IRA's armed campaign. The IRA sent her with Sean Savage and Daniel McCann to the British overseas territory of Gibraltar to plant a bomb in the town area. British MI5 was made aware of their plan and the SAS was deployed to prevent the bombing. Farrell and her two partners were shot dead. Farrell was shot three times in the back and once in the face, Savage and McCann were shot by the SAS whilst walking towards the frontier with Spain, at the Shell filling station on Winston Churchill Avenue. Some witnesses to the shooting stated that Farrell and McCann were shot while attempting to surrender and while lying wounded on the ground. If you have more information, see any mistake, or know someone who is missing, please, contact me. Thanks.